Chai – the hebrew word meaning “life” – is created by combining the Hebrew letters chet and yud. It’s pronounced like the word “hi,” as if you were saying hi to somebody, except the “h” has a slight glottal stop in the back of your throat– not “ch” as in cheese, rather “ch” as in “kh.” I don’t know exactly how to describe the sound, just imagine Adam Sandler in “You Don’t Mess with the Zohan” saying the word “hello” and you’ll get it. It’s a funky sound we don’t really use in English, and it took me a while to get the hang of it. Now it’s second nature. Sort of. While the word chai means “life,” it also has a much deeper meaning for the Jewish people. The Hebrew letters have become a celebrated symbol, a reminder to be good and do good in life. 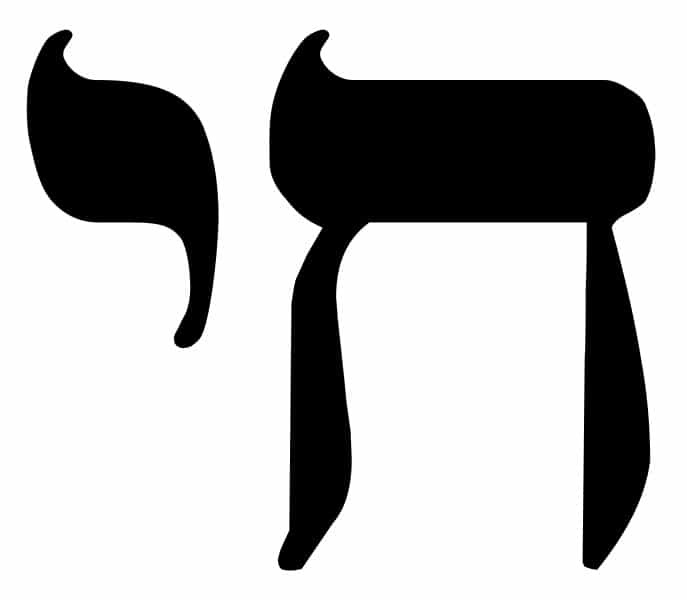 You might see these Hebrew letters on necklaces and jewelry worn by Jewish women. The numerology behind the word is interesting. In the mystical Jewish tradition of gematria, the Hebrew letters chet and yud add up to a numeric value of 18, which represents good luck. This is why Jewish folks often give monetary gifts for bar mitzvahs and weddings in multiples of 18. Oh man, I love that musical. Doesn’t hearing that song just make your whole day better? Of course, some might see the word chai and imagine frothy Indian-spiced lattes… and that’s okay too. I don’t think it’s a coincidence that the Hebrew word chai and the Indian spice blend chai have the same English spelling. The two words are pronounced slightly different, but they’re both describing something very, very good. The Indian chai spice blend is warm, bold and full of vigor. It makes people happy. A great chai latte makes me want to raise my mug and say “l’chaim!” It was only a matter of time till the chai spice blend made its way into my traditional Jewish cooking. 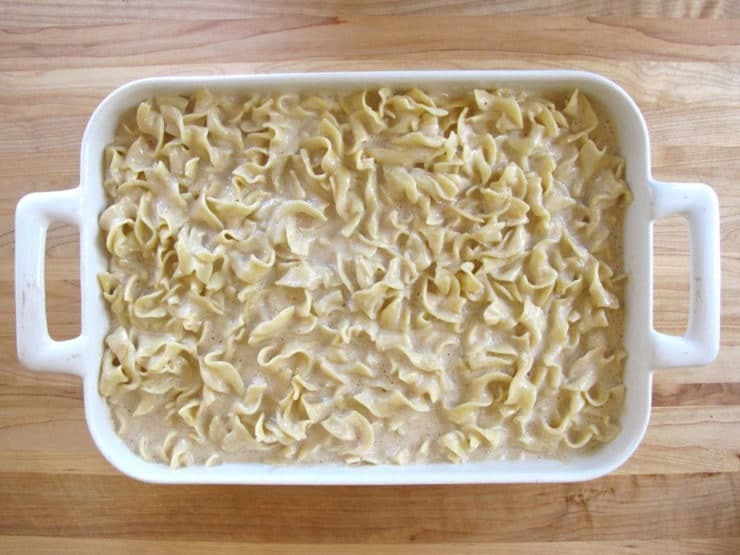 Today’s noodle kugel recipe is based on my favorite Lokshen Kugel, amped up with– you guessed it– chai. I added a homemade chai spice blend and a graham cracker crumble topping to make a sweet, lightly spiced dessert-style kugel. Shavuot is next week, a Jewish holiday when dairy foods are traditionally served (learn more here). 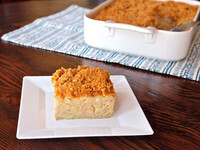 This kugel would make a great option for a Shavuot menu, a spring brunch, or just because. It’s a fun twist on the traditional kugel theme. Incidentally, there is another word that has meaning for both Indians and Jews– shiksa! 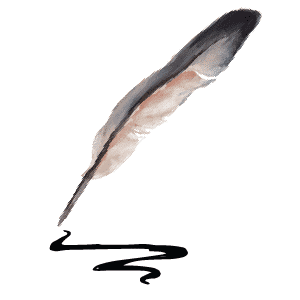 In Yiddish, it means non-Jewish woman (and is sometimes used as a term of insult, but never on this blog). In India, I’ve been told the word shiksa (pronounced shiksha) actually means teacher or education. How cool is that? I guess in some ways I’ve become a cooking teacher here on the web. I’ll embrace the Indian definition of my nickname, just as I’ve embraced chai lattes. It’s all good! No matter how you choose to pronounce the name of this kugel… with a chai (chet and yud) or a chai (ch- as in cheese)… either way, you can’t go wrong. It’s a creamy, dreamy, rich and fabulous mix of flavors. I swear, Indian chai spices were meant for kugel. Can’t believe I didn’t think of it sooner. It’s enough to make me chai on life. L’chaim! Love chai lattes? You'll really love this creamy dessert-style kugel with warm Indian chai spices. Kosher, Dairy. Shavuot. Place a rack in the middle of your oven and preheat to 350 degrees F. Bring a large pot of water to a boil. Add the noodles to the pot, bring back to a boil, and let them cook till tender (not overly soft), about 5 minutes. 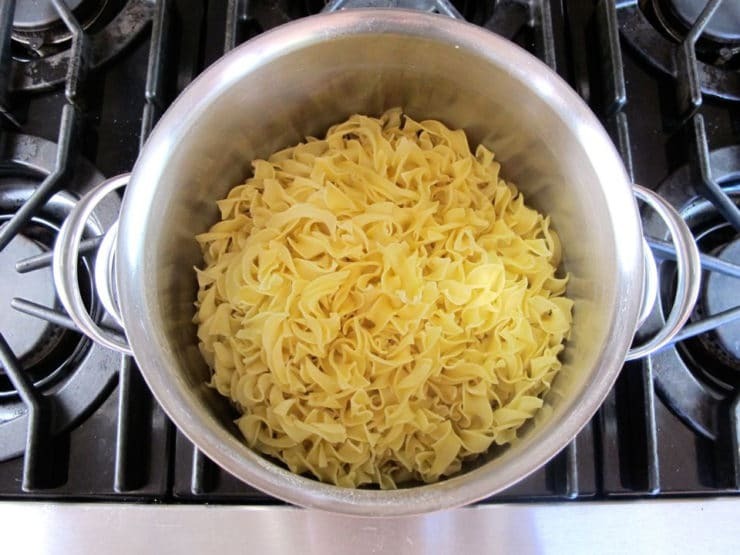 Drain, rinse the noodles with cold water, and return the cooked noodles to the pot. 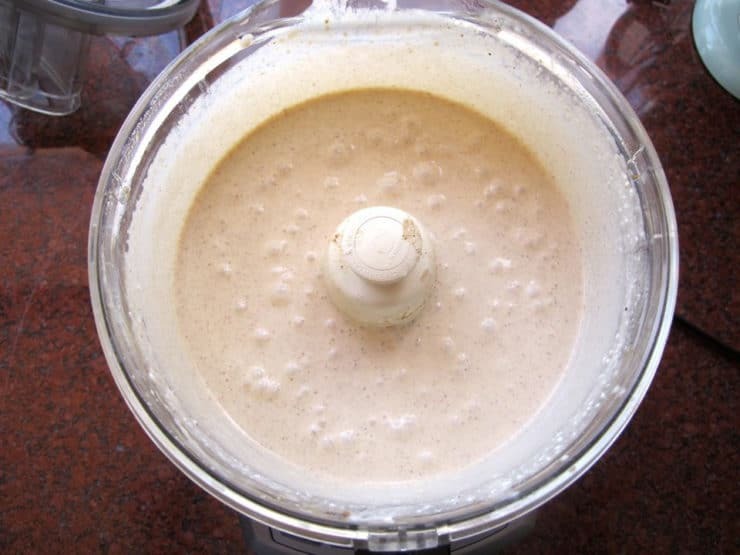 In a food processor or blender, mix together the eggs, sour cream, cottage cheese, cream cheese, sugar, melted butter, spices and salt. Spray a 9x13 inch baking dish with nonstick cooking oil. Pour the noodle mixture into the dish. Mix the topping ingredients together with clean hands till the crumbs are evenly moistened with butter. Sprinkle the topping over the kugel. Alternatively, you can use your favorite kugel topping (streusel, cornflakes) or simply sprinkle generously with sugar and lightly with cinnamon. 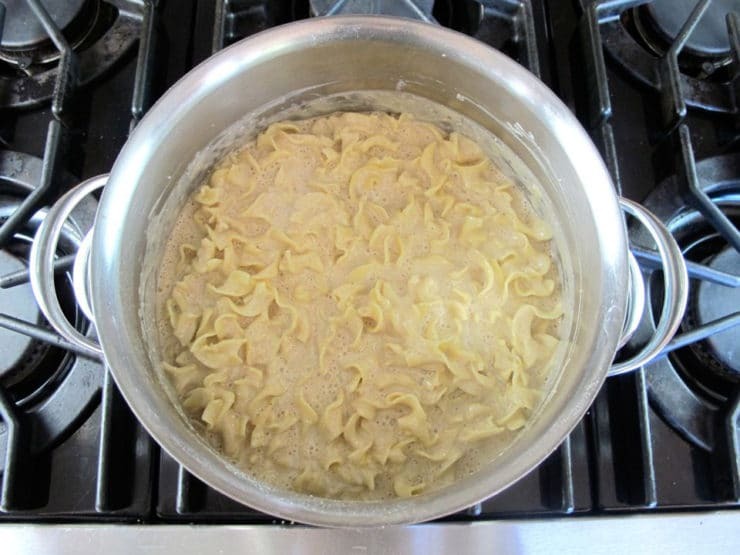 This will result in the top noodles forming a crunchy top to the kugel, which some people prefer to a topping. Bake the kugel for about 60 minutes, turning once halfway through cooking, till the center of the kugel is set. Remove from the oven. Let the kugel rest for 15-20 minutes before slicing. The more it cools, the easier it will be to slice cleanly. Kugel can be served warm or cold. I usually like kugel with raisins or other fruits added in, but I left them out of this one so the chai flavor could take center stage. You can feel free to add them if you wish, raisins in particular will work great with the spices to give another dimension of flavor. If you want to add them, or any other dried fruits, I recommend measuring out a cup of fruit and soaking it in hot water for about 10 minutes, then draining, before adding to the kugel ingredients. This will help plump the fruit and keep it juicy as it bakes inside the kugel. OMG, Tori…is there anything you post that doesn’t turn out good for people? I went to a “Spiritual Nosh” at synagogue last night and we had to bring a nosh. Last minute I ran out to your site and found this recipe for the kugel. I ran out and got the ingredients and this kugel was a HUGE hit! The only thing is I thought I had ginger but I must have discarded it at some point and it was already running late so I left it out. I put a bit of allspice in (though that’s no where close to being a taste like ginger). The ginger didn’t really matter. Folks were grabbing 2nds and 3rds. The last one of the events I brought the matbucha which was also a hit. You make me look great! Could I start preparing this the night before? Maybe mix together all of the ingredients except for the topping, keep it in the refrigerator, then get it out the night I’ll be serving it and put the topping on before i put it in the oven? Thanks! Hi Sarah, yes, you can definitely prepare the kugel ahead of time. In fact, I find making things ahead to be super helpful when cooking big holiday meals. Just make sure to rinse your noodles with cold water to cool them off before mixing in the eggs and other ingredients, and be sure to refrigerate immediately for food safety. You may need to bake it a few minutes longer since the kugel will be cold out of the fridge instead of room temp. Enjoy! This looks amazing. Can I put it together the night before and leave it in the fridge, then bake it the following day? I’m thinking I’d throw the topping on the day it goes in the oven. Hi Sarah, yes– just make sure you rinse your noodles with cold water before adding the eggs and other ingredients, to keep it food safe. Add the topping just before you bake it, as you suggested. I wouldn’t make it more than a day ahead if you are refrigerating. Enjoy! I like to add dried cranberries to my Kugel. I made this for Mother’s day brunch today and it got rave reviews! My only deviation was using gingersnaps for the topping which seemed to compliment the Chai spices. I don’t eat dairy, gluten or eggs these days ( I know, fun right!?!) So I didn’t taste it but everyone said it was a hit. Thanks! Life is tough in the fast lane….I was just informed that Sunday is Mother’s Day, funny how that sneaks up on guys, and our son is making Mother’s Day with an assortment of BBQ ribs and the kugel would NOT be a side dish. Friday night, tomorrow, I’m a culinary assistant at a cooking school teaching techniques of BBQ from 5 to 11 PM. Sat. is our other son’s 44th B’day and we are going out for dinner. I figure that next week is good at which my wife reminded me that I’m lactose intolerant and if I dare make this kugel she will post the phone number of the local funeral home on the wall next the phone because if the kugel does not kill me she will after hearing me complain about all the intestinal problems I will have after eating a piece….. I also make this with a bottom crust of graham crackers and not a heavy crust on top. My Mom used to make this she got it from the newspaper the President of the Bronx, his name was Mr Badillo was married to a Jewish lady and she wrote the recipe. Small world! I’ve never heard of kugel with a bottom crust, what a cool idea Lucy! Sunday will be non-shiva kugel night at Stu & Sue’s. These warm spices are perfect in kugel, Tori! I love your connection between Hebrew chai and Indian chai. You’re right, both are quite happy. Terrific music picks – I’m humming away as I head to sleep! I appreciate the kind mention, too. Chag sameach! Fantastic! !But I don´t care for Chai tea. Great idea, Tori! I love love love the chai flavor! My wife makes the best noodle kugel ever…but….she always makes it for shiva lunches, so, it’s been called Sue Ellen’s Shiva Kugel and we can’t have it at any other time because it feels like we are at a shiva if we eat it. What a problem! I might like it as a kugel but not a big chai tea fan! Add extra cinnamon to mine! I think this will be my next kugel! Can´t wait to try it! Want to make this….want it to be in the fall/winter. Will do. Creative always works!! may have to try this once I get on my maintenance for the weight loss!! sounds yummy!! I love this movie too! Had one of the songs sung at my wedding reception “way back then!” Haven´t tried this recipe, but have heard about it and will certainly give it a try! Yes, Geraldine, my Grandmother used to talk about it being made with cottage cheese too. Sounds delicious! My Mum didn´t add the sugar or cinnamon, but added everything else. She used smatana instead of sour cream, but I think it is the same thing, just the Eastern European version of soured cream. We loved it, especially with some grated cheese on top and finished under the grill to make a really crunchy topping. Oy vay, the memories these lovely Jewish dishes bring back! I never thought of spicing it up. 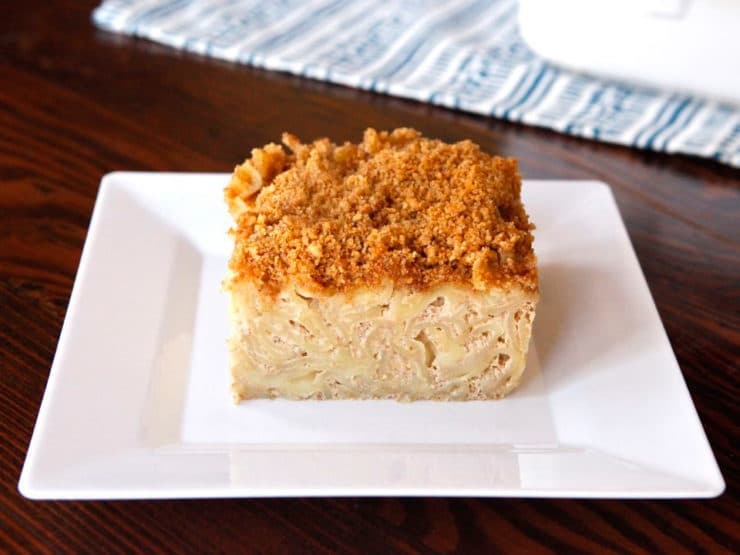 Do you have a recipe for noodle Kugel? I haven´t had it in ages either and have no Jewish family or friends anymore! I´m dying for pineapple Kugel!! THANK YOU!!! Oh, sorry-I just saw the link! I never thought of spicing it up. I stick to the traditional apricots and ricotta. OMG !!!! Haven´t made that in ages……..(too many fatty things in it)….but so yummy !!!! Looks good! I will make for Shavuot. 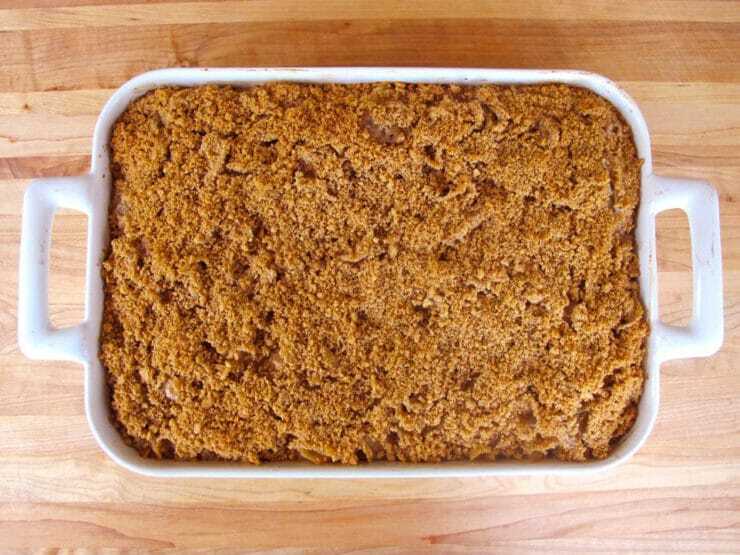 My Mum and my Bubba used to make this when I was a child – we called it Lokshen Pudding. Bubba made the sweet version, and my Mum used to add cheese and cottage cheese with herbs and a little pepper, for the savoury version.